How Often Should You Change Your Strings? Two identical sets of strings, one corroded and one brand new. Is There a Rule of Thumb? Since strings wear out both from use and the passing of time, the magic rule for beginners is to change strings every 100 hours or 3 months—whichever comes first. Old strings sound bad, are difficult to get in tune, and can break unexpectedly. They also feel a bit yucky to touch. Do Your Strings Need Replacement? Strings wear over time, and will need replacement when they’ve become worn enough. Check your strings for these signs of wear. Next time you’re in a garage or basement, look carefully at the metal objects left there. The moisture in the air rusts them over time. This happens to guitar strings, too, but the process is accelerated by frequent contact with the moisture from your fingers that you leave on the strings after you play. This moisture slowly attacks the strings, causing them to corrode and killing their tone. Fretting the strings will cause fret wear over time. Over time, small kinks begin to form along the length of the strings. 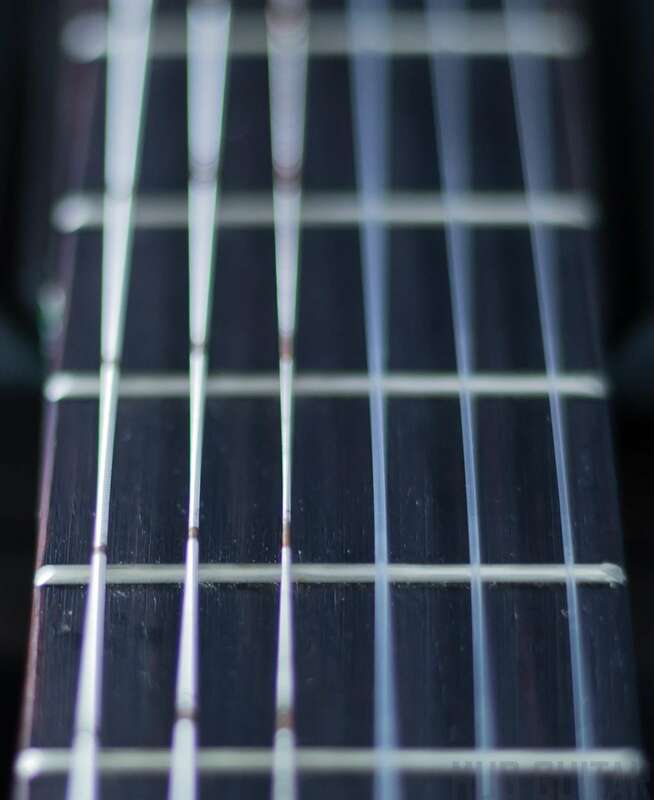 These dents are caused by contact with the fret wire, which itself is made of metal. They affect the tone and feel of the strings, and also increase the likelihood that the strings will break suddenly. The guitar’s treble strings are made from a single piece of wire. But the bass strings are made from a thin wire “core”, which another wire is wrapped around to bring the string to the correct gaugeGauge refers to the thickness in diameter of a string.. Acoustic guitars have four wound strings and two plain strings. Electric guitars, whose strings are lighter in diameter, usually have 3 wound and 3 plain. Over time the windings can become loose, making the string very unpredictable. When this happens on a steel string it will normally fall apart. On nylon strings, the winding may sometimes begin to pull off without breaking the core. Wiping your strings after each time you play will extend their life, to a point. Wiping down your strings (top and bottom) with a thin cloth can remove the corrosion-causing substances left on them after playing. This can therefore prolong the life of the strings. Few guitar players do this regularly. A handy tool to use for this is the ToneGear String Cleaner[? ]Affiliate Link. There are a number of products on the market for cleaning and conditioning guitar strings. These products work by putting a layer of oil over the strings which protects them from harmful, corrosive substances. Examples include Dunlop String Cleaner[? ]Affiliate Link, and Fast Fret[? ]Affiliate Link. Most players should plan on changing strings about once every 3 months or 100 hours of practice—whichever comes first. If you’re late by awhile, it doesn’t matter. Your strings may last twice this long, or more. They will continue to wear and you can continue to use them, as long as they don’t break. This is just a “rule of thumb”. This is a key factor! If you aren’t serious about the guitar at all, and don’t practice regularly, why bother changing the strings? That’s not even the fun part. If you’re playing every day for several hours, you’ll probably need to change your strings more often than if you only play once per week. And if you own five guitars that you play equally, you’ll probably need to change less often than if you use just one. 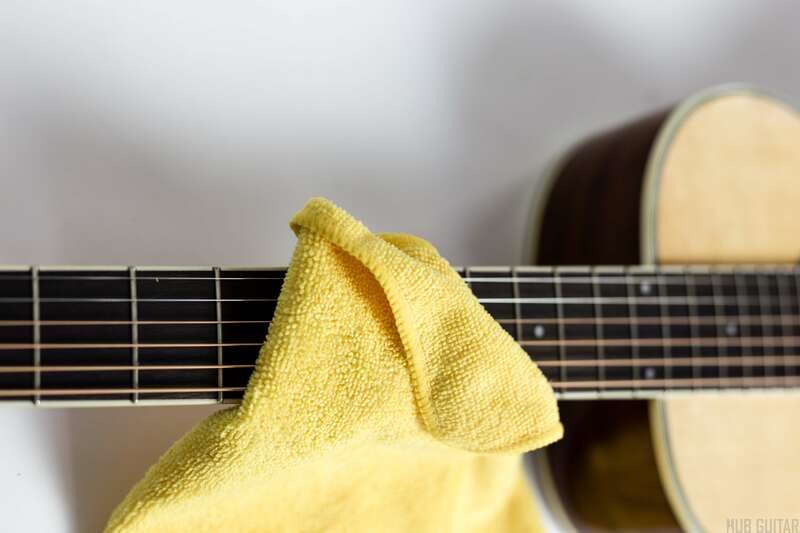 Note that corrosion will effect strings even if you don’t play the instrument, but wiping the strings down after use and using string conditioner will reduce this considerably. Noticeable wear can become visible on the strings beginning within 1-2 weeks or 5-10 hours of practice. By the time 3 months or about 100 hours of use, your strings will be fairly worn out and may not sound as good anymore. How corroded do your strings get? The corrosion on your strings is what makes them feel gritty and unpleasant to play. It also has an effect on their tone. This corrosion can be influenced in a number of ways, including by body chemistry. In other words, some players naturally corrode their strings more than others. What kind of strings do you use? Many players love Elixir strings because they tend to last longer due to a protective coating. Although this is very convenient, the coating does affect tone and some players prefer the tone of uncoated strings. However, many instrument manufacturers prefer coated strings because they know that they can’t expect the guitar shop to keep new strings on hundreds of instruments; coated strings ensure a longer string shelf-life in the guitar room, and helps to boost sales by keeping guitars in good condition. Some players put a new set of strings on every week, or even more. However, others don’t change their strings for weeks or months at a time. The question of how often you should change your strings is highly personal. If you feel your tone may be affected, or that the strings feel gritty and uncomfortable, it’s a good time to change them. All else being equal, it’s a good idea to change your before 3 months or 100 hours of use have passed. 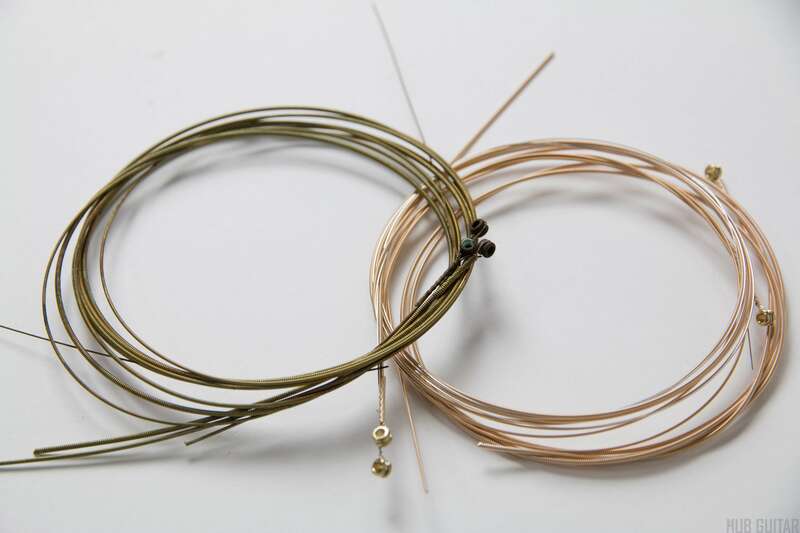 It’s also a good idea to use coated strings if you like them, as this will give you some insurance if you wait too long to change your strings. A good string winder and string cutter: Music Nomad String Winder[? ]Affiliate Link. Consider the Ernie Ball Power Peg [? ]Affiliate Link, which will help you to change strings many times faster. For coated acoustic strings, try Elixir Nanoweb, Elixir Nanoweb Acoustic Coated Strings (Light)[? ]Affiliate Link. For electric guitar strings, try Elixir Nanoweb, Elixir Nanoweb Electric Coated Strings (Light)[? ]Affiliate Link for most players. For acoustic guitar players, try recommend DR Phosphor Bronze Strings (12)[? ]Affiliate Link strings. For electric guitar players, try recommend trying Thomastik-Infeld Power Brights (09)[? ]Affiliate Link.